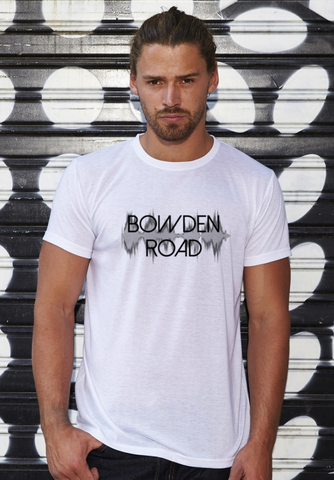 Light and durable white t-shirts with Bowden Road's Soundwave design. Available for both men's and ladies fit. High quality sublimation print.